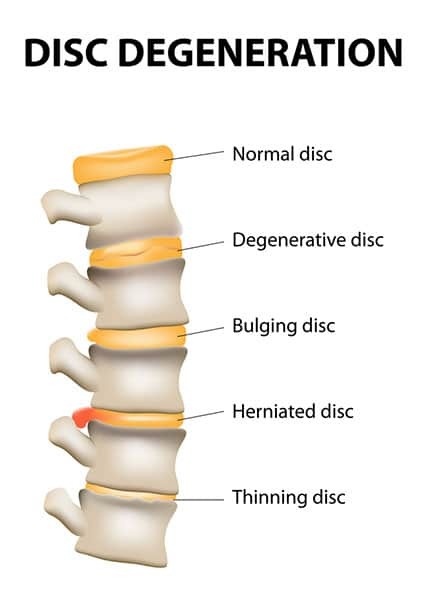 Slipped (Herniated) Disc Treatment - What is Slipped Disc? 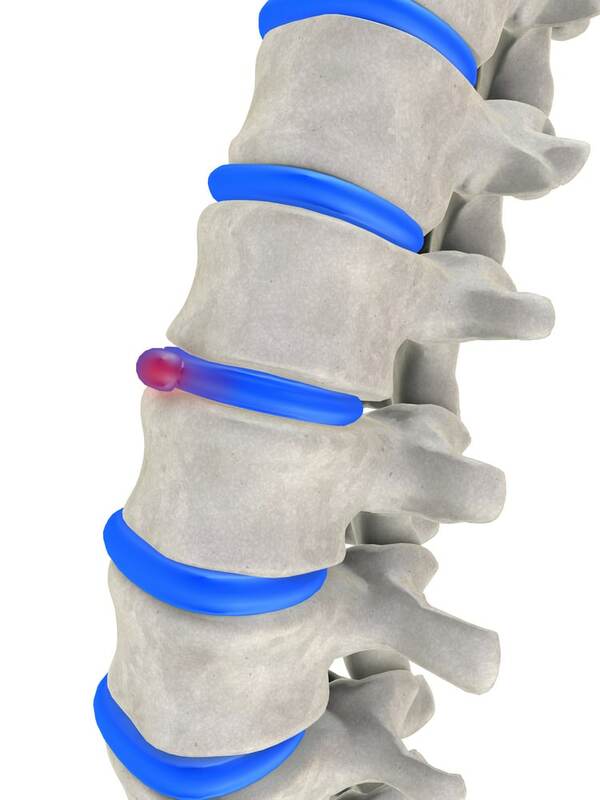 Intervertebral discs are known as the structures in between the vertebral bodies that act as shock absorbers. Each of these is made of a soft gelatine-like inner core and a tough outer ring that bears protective properties. Sometimes the internal tissue might seep out of the ring, which is called herniation. There are different reasons for this medical condition. In the unique human anatomy, the lumbar spine (lower back) and the cervical spine (neck) are responsible for most the mobility in terms of bending and extension, while the thoracic spine and the sacral spine are relatively immobile. Hence the first two are under intense mechanical stress and have the highest risk of injury and degeneration. As human beings, we are involved in all sorts of daily activities, sports, and work, which can make us more vulnerable to falls and accidents. As you can imagine, one thing leads to another. A simple back injury might put enough pressure on a disc to cause herniation. This usually manifests itself as pain, ranging from mild to severe. Since everybody has a different threshold, some people might experience no discomfort, while others will be unable to perform simple tasks. Now, when a slipped disc compresses the spinal canal or the adjacent spinal nerves, an individual might also feel numbness in their limbs and back. Older people are more likely to develop the condition. As age advances, the discs start to lose some of the water content that protects them. This increases the chances of a disc slipping out of alignment. This is more commonly found in men than it is in women. 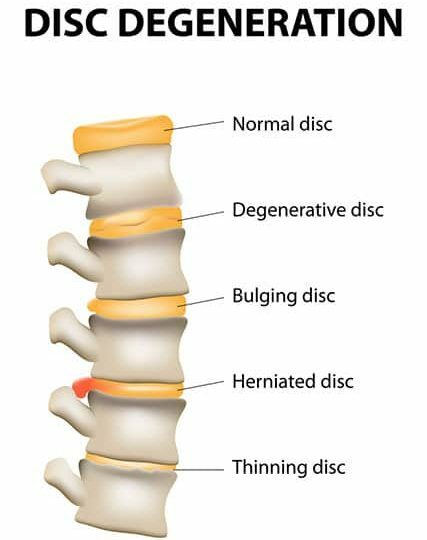 In Singapore, a slipped disc is the most severe spectrum among the degenerative disc disease (DDD). Depending on the size and the location of the herniated disc, symptoms would range from severe intractable lightning-like pain or burning pain radiating from the lower back to the foot (Sciatica). And the most severe form would be paralysis of the lower limbs and loss of functions of the bladder and bowel (caudaequina syndrome). If the slipped disc happens in the neck, patients may experience similar lightning-like pain or burning pain, radiating from the neck to the hands. If you are suffering from these symptoms, you are advised to visit an Orthopaedic Surgeon or Bone Specialist in Singapore immediately to seek treatment. At HC Orthopaedic Surgery in Singapore, we will take a thorough medical history, X rays, MRI scan of the spine and physical examination before any slipped disc treatment is administered. This is to fully evaluate the cause of the back pain and nerve symptoms, and to exclude any other sinister cause of the low back pain such as pathological fractures and cancer spread to the spine (metastasis). 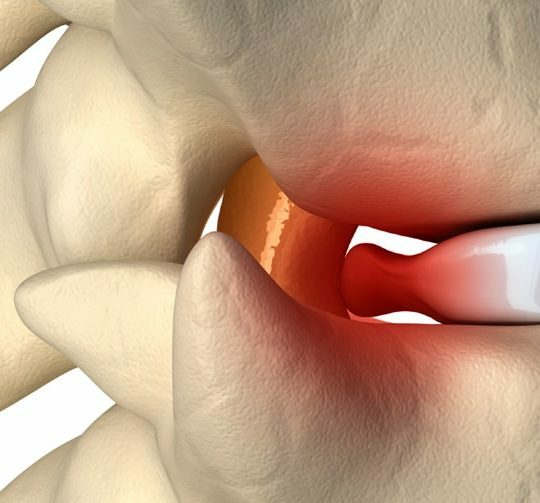 When a herniated disk occurs, the first step is to try a conservative treatment. Anti-inflammatory medications, traction therapy, core strengthening and lifestyle modification (physical therapy). Needless to say, a combination of several treatments proves more effective than a single course of action. Patients should try to implement the necessary changes in their everyday routines to see results. Based on the diagnosis, various types of drugs will work: for some pain relievers will be the norm; others might need to go on corticosteroids; muscle relaxants are also an option. As for physical therapy, a specialist will know best what exercises to prescribe after evaluating the person’s health condition. Nerve root block. Sometimes doctors opt for a local anaesthetic to help relieve a patient’s symptoms. A nerve root block is an injection, which is administered right where the name suggests – the area around the affected nerve. The injection is a mixture of a steroid and some numbing medicine, and its effects can last for approximately 14 days or more. The procedure is executed in the X-ray room under X-ray guidance. For some patients, the above treatments don’t produce the desired results, which prevents them from having a normal life. When nothing else works and your symptoms have been present for more than two months, your health condition may require surgery. Nucleoplasty (radiofrequency ablation). The main goal of this procedure is to decompress the nucleus of the disc, which helps to remove some of the pressure that causes the problem. It is very similar to releasing air from a tire. It is performed under local anaesthesia, using X-ray to determine the exact place where the needle should go, and then the patient is monitored for two hours. Micro-discectomy. This procedure aims to remove the part of the damaged disc tissue that is exerting pressure on the nerves. General anaesthesia is used. The patient should lie down on their stomach. The surgeon sticks with a lighted microscope which enables them to see the troubled area. Discectomy. This is a completely surgical intervention that requires an incision into the troubled site. 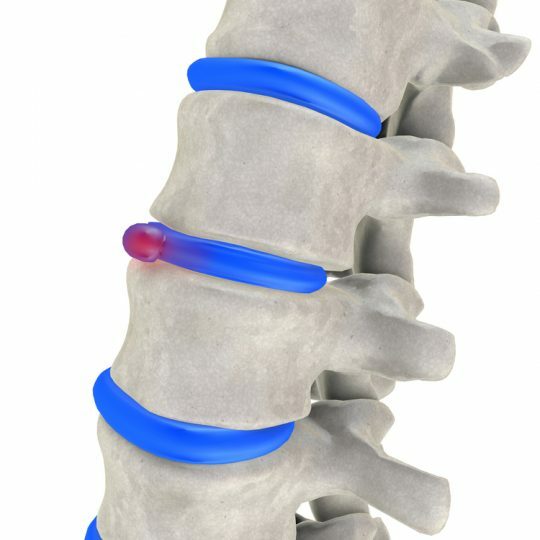 It is used to remove the disc material that causes the pain and nerve damage. The specialist may also need to remove a small part of the bone that belongs to the affected vertebra. Basically, this lets them see the herniated disc better. This type of procedure is called a laminectomy or laminotomy, stemming from the word lamina, which is the thin part of a bone. When the surgery is over, the patient usually needs to stay overnight, although sometimes they can be discharged from hospital on the same day.